Buy house in Panama, Camino de Cruces, Clayton, Esmeralda Model II. Beautiful house in gated complex located in Clayton Paths of Camino de Cruces, which has security gate, wall around the entire urbanization, with electrified fence, access controls, especially to provide greater security to its residents. The Clayton Zone is considered a forested area located in the areas of the Panama Canal. Formerly in second place, known as Fort Clayton during the years of military occupation by the American government. This area since it was reverted to Panamanian hands has undergone changes in urban, residential and commercial infrastructure. Clayton is the City of Knowledge, a self-sustainable area where eco-friendly systems converge, commercial developments to generate jobs in the area. This house for sale has an area of 701 square meters of land and 300 square meters of construction. This project was designed to maintain as much as possible, the original topography of the land and preserve the greatest number of trees and vegetation in the area. Being a very quiet community with access to nature in its surroundings. Los Senderos is a gated community with 24-hour security and includes a social area with swimming pool, tennis court, playground, tennis and soccer courts. Los Senderos is close to good options for schools like Las Esclavas, El Javier. 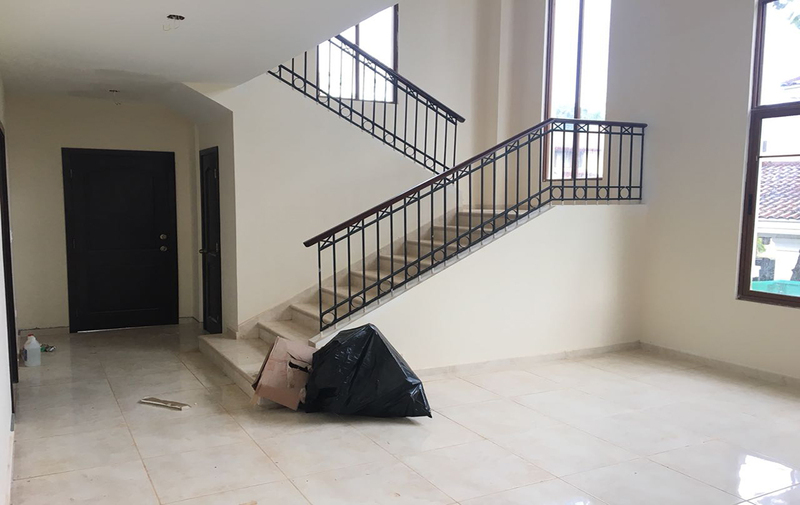 Also close to Cuidad del Saber, restaurants, banks, churches, pharmacies, Panama Canal, Albrook Mall, Albrook airport, grocery stores, and much more. Therefore, this project is exclusive to live, a privilege for few. The ideal place to lead a quiet life. Do not think more and be the owner of this spectacular property. For a new way of life thought of you and your family!